Monday night Cape Coral City Council plans to approve an engineering firm to start designing plans to improve parks across the city. CAPE CORAL, Fla. -- Monday night Cape Coral City Council plans to approve an engineering firm to start designing plans to improve parks across the city. 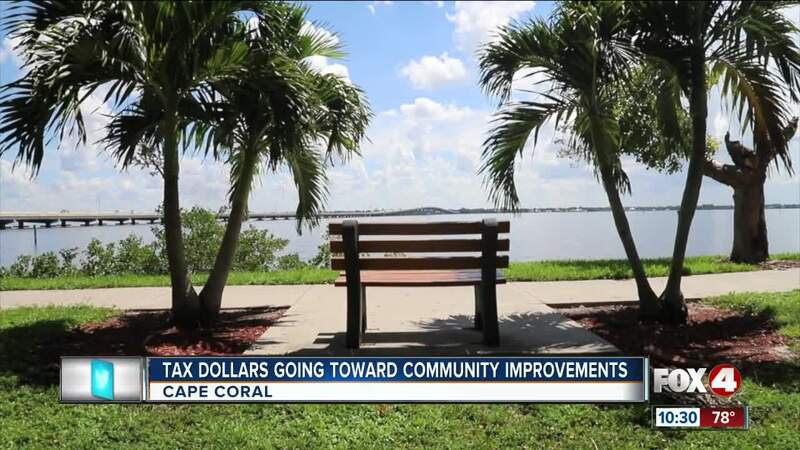 This past November, voters in Cape Coral passed the $60 million dollar "Go" Bond to cover the cost of park renovations for 15 years. The money is being used to improve 22 existing parks, add seven new neighborhood parks, and three community parks across the city. “The concept plans will be used to design the future neighborhood and community parks,” said Cape Coral Spokesperson Maureen Buice. The city plans on holding public meetings so residents can add their input on plans for the parks, “that will help us design the specific amenities for the parks in their neighborhood," said Buice. One of the proposed improvements at the cape coral yacht club would be adding additional parking, some say it would be beneficial. “It’s quite the distance to park and walk so additional parking would be great,” said Russ Winstead, Cape Coral. Other ideas for the yacht club include adding an aqua park and expanding the beach. Once the city approves engineers, plans will move fast, “the city of cape coral expects to finish all the “go” bond projects in a three year time frame,” said Buice. For more information go to capecoral.net/gobond.